The Economist (11th April 2015) laments the woeful skills shortage gap in the UK. After years of underinvestment, policy failure and general shifts in attitudes away from science and engineering subjects, we’re about to get what we wished for. Careful now. The UK produces 25000 engineering graduates a year and despite some recent successes to increase this, it’s too few for the demands of business. Even James Dyson’s feeling the pain – his plan – to set up a new institute in London. But a few things caught my eye with an innovation management perspective. A perhaps more serious trend has been the decline in companies developing new an innovative offers to the market. 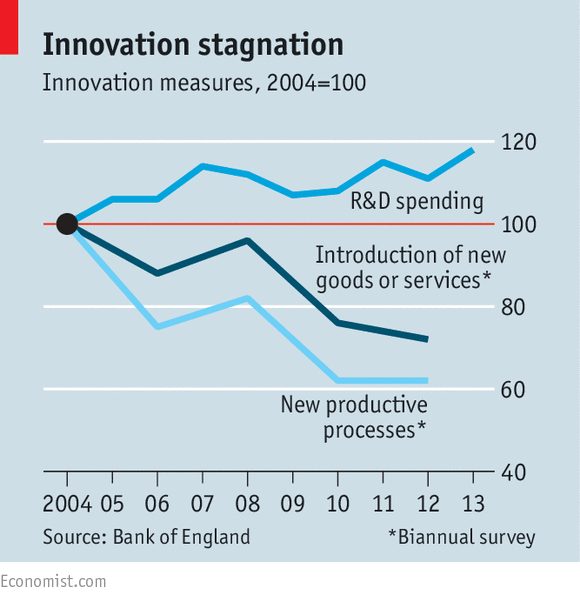 The Economist explains that part of “The Gap” in skills is not only too few engineers, but too few innovation-skilled business leaders. The gene is (largely) missing in too many businesses. So, what’s the problem? The UK has now returned to growth after all. The problem is that without increasing productivity wages don’t go up. Both for companies and economies. I will go further and say that Innovation is the only sure way for businesses to renew, respond and adapt in our time. 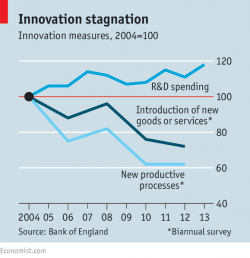 While R&D spending is holding up, investment in innovation by UK businesses is woefully low. Be shocked by the following – that companies that introduced new products has dropped from 25% in 2008 (arguably already too low) to 18% in 2012. Thankfully the university science community is doing a great job of producing 16% of the world’s scientific papers, from less that 0.6% of the global population. 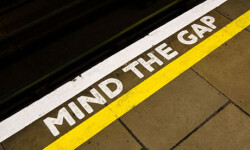 The gap is the ability of businesses to plan and organize their innovation activities. The solution is to build and continually refine their Growth Engine – that will take care of the rest.